Peter joined Cornelius & Collins, LLP as an Associate in 2013. He previously practiced law at the law firm of DHPM (formerly Drescher & Sharp). Prior to entering private practice, Peter clerked for the Honorable Thomas W. Brothers of the Sixth Circuit Court for Nashville and Davidson County. Peter’s areas of practice include employment law, personal injury, civil rights litigation, and general civil litigation representing both plaintiffs and defendants. He also assists clients in the estate planning and probate administration. Peter is fluent in Spanish and often represents Spanish-speaking clients. He is admitted to practice before all state courts of Tennessee, the U.S. District Courts for the Eastern, Middle, and Western Districts of Tennessee and the U.S. Court of Appeals for the Sixth Circuit. Peter is active in the Nashville community and serves on the Nashville Bar Association Young Lawyers Division Board of Directors. 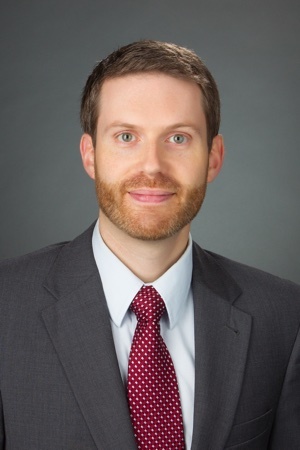 He has been recognized for his pro bono work as an Attorney for Justice by the Tennessee Supreme Court Access to Justice Commission, and was selected to be part of the 2015-2016 class of the Nashville Bar Foundation Leadership Forum. Peter obtained his law degree from Vanderbilt University Law School. He received his undergraduate degree from Brigham Young University, where he graduated with a Bachelor of Arts in Political Science and a minor in Spanish.